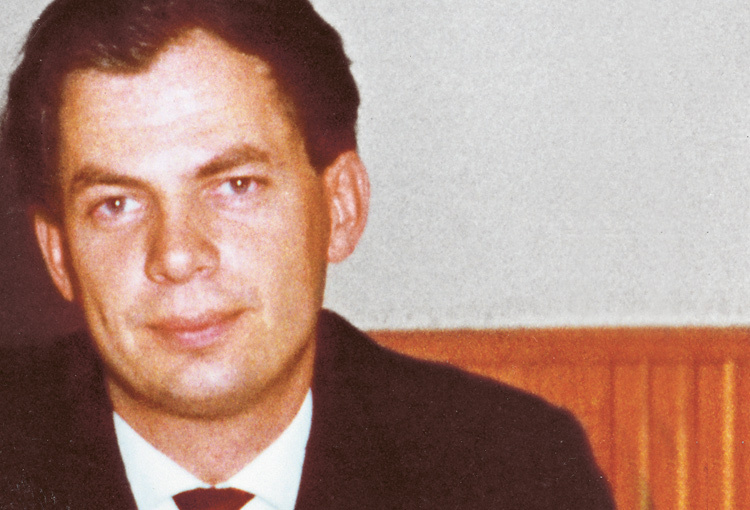 Peter Dussmann founded the company in 1963: with only a few employees, he set up a home cleaning service in Munich. 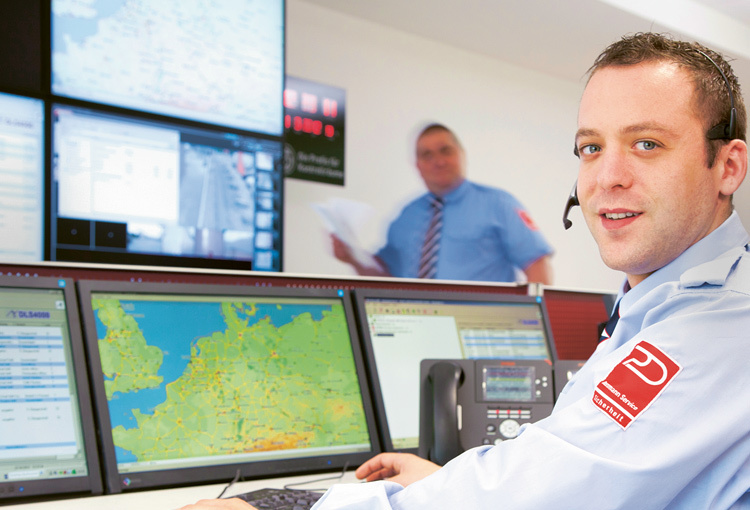 Today, the Dussmann Group is one of the largest private multi-service providers worldwide. Peter Dussmann follows his dream of setting up his own service company. He scrapes his savings together, takes out a small loan and resolves to found a home cleaning service for bachelors in Munich. 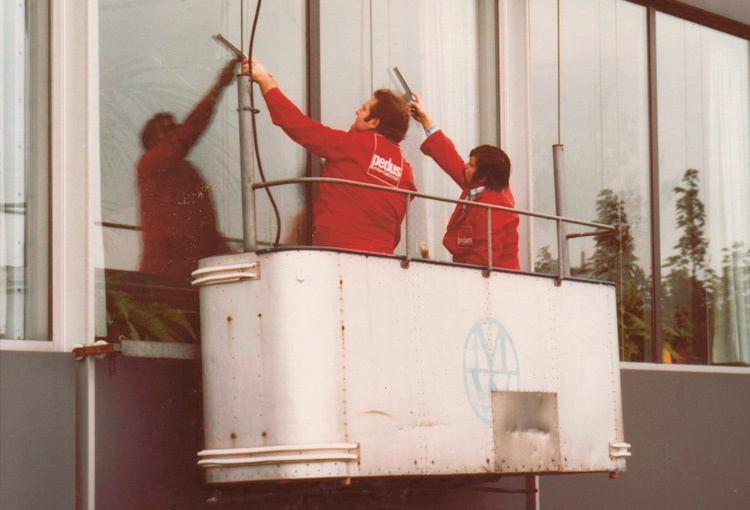 For those who dislike window cleaning, Peter Dussmann has a solution: Outsourcing saves time, money, own personnel and allows a company to concentrate on its core activities. 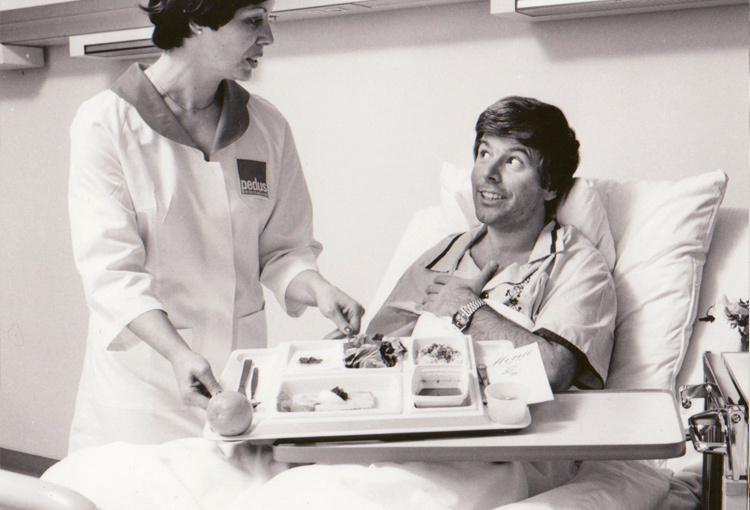 Peter Dussmann makes a clean sweep in operating theaters too. 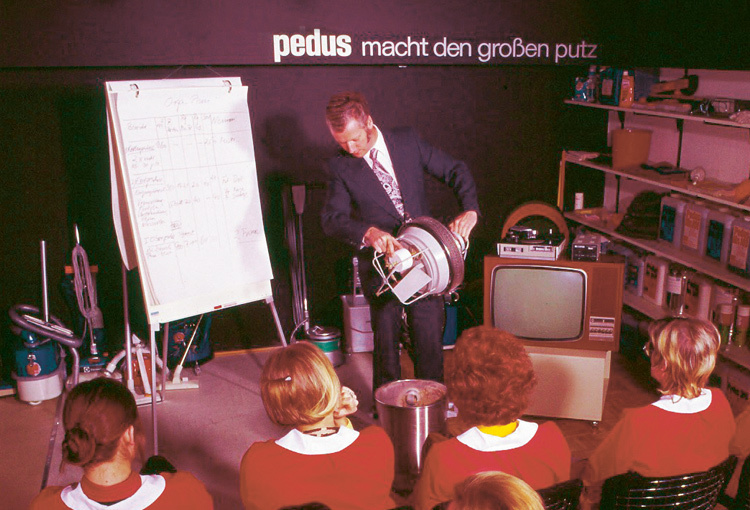 In 1968, Pedus Service enters the hospital cleaning market. The first client is in Garmisch-Partenkirchen. Today, the Dussmann Group is a specialist for hospital hygiene. 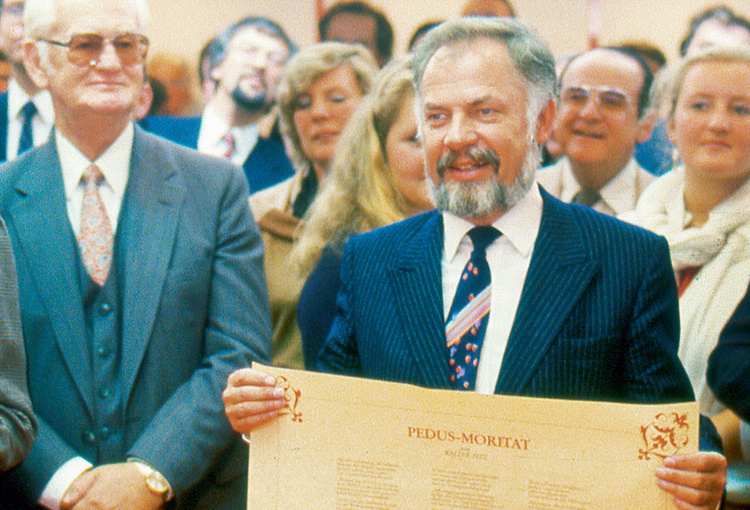 Peter Dussmann establishes his first subsidiary outside Germany – in Austria. The company develops swiftly. Dussmann expands into Italy. Over the years it becomes the company’s biggest market outside Germany. 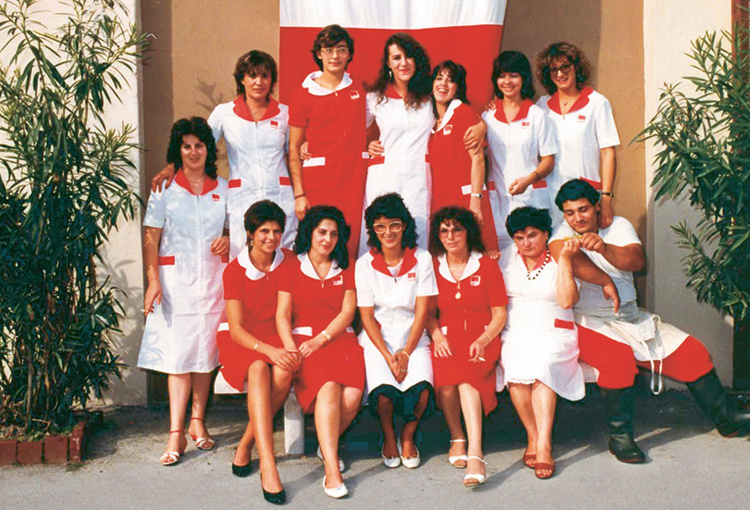 From Bergamo to Sicily, over 11,000 employees make the company successful with their dedication and their positive approach. Peter Dussmann places value on know-how transfer, on the job or, as on this photograph, in the course of further training. Improvements and innovations are passed on and introduced quickly. One day, Dussmann receives a request for a service package – from cleaning to security – and all of this in the middle of the Saudi Arabian desert. Facility Management is born and takes its first steps in Saudi Arabia and Brazil. 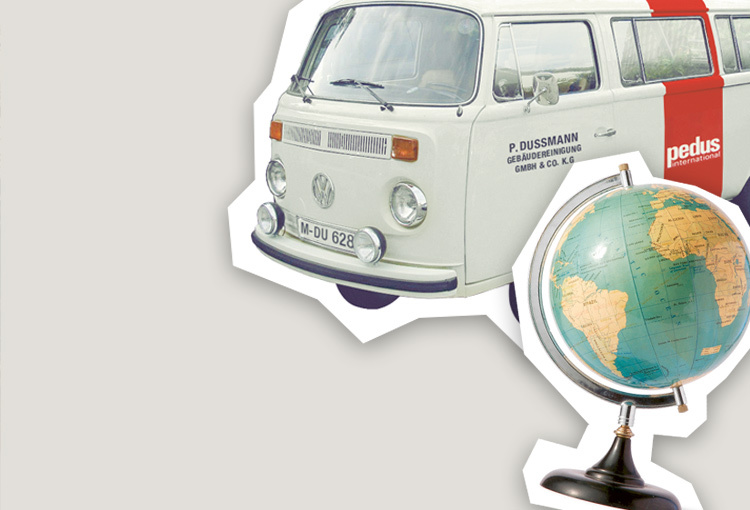 Dussmann Luxembourg is established. 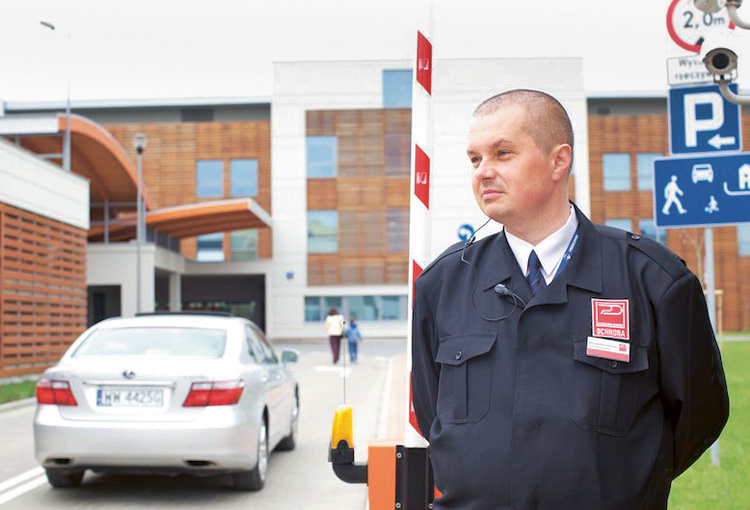 Today, one in every 200 Luxembourg citizens is a Dussmann employee. 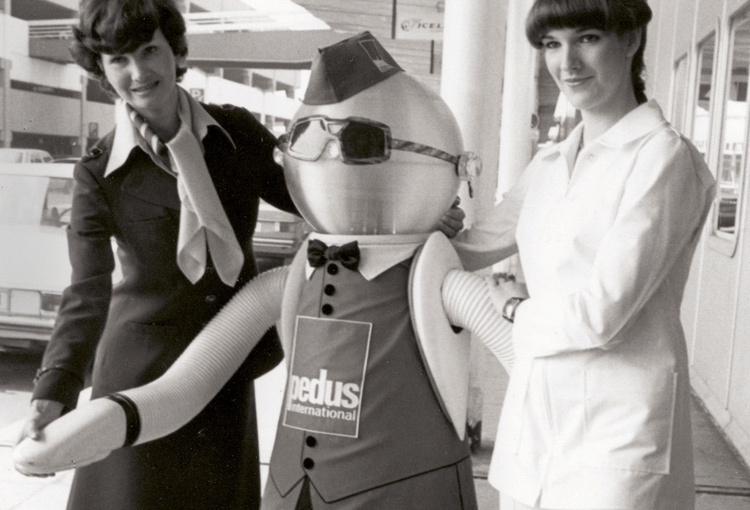 The automatic “service operative”, advertises the fast, efficient cleaning services of Pedus International at Munich airport. 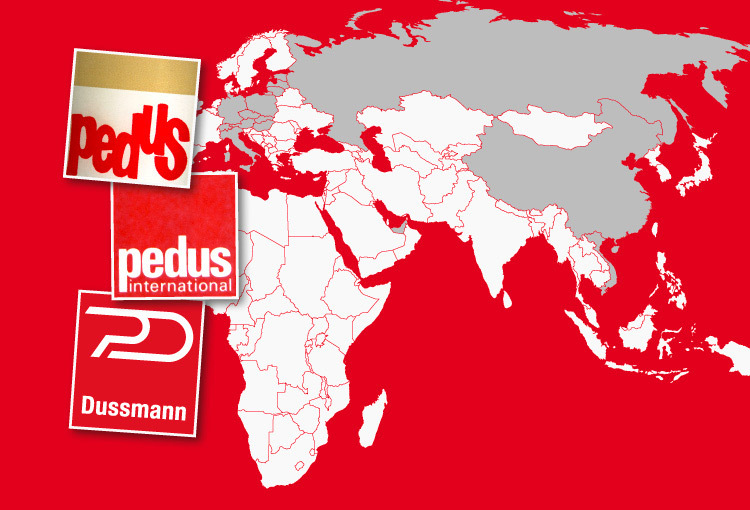 Peter Dussmann brings the idea for a new company division back from the USA. 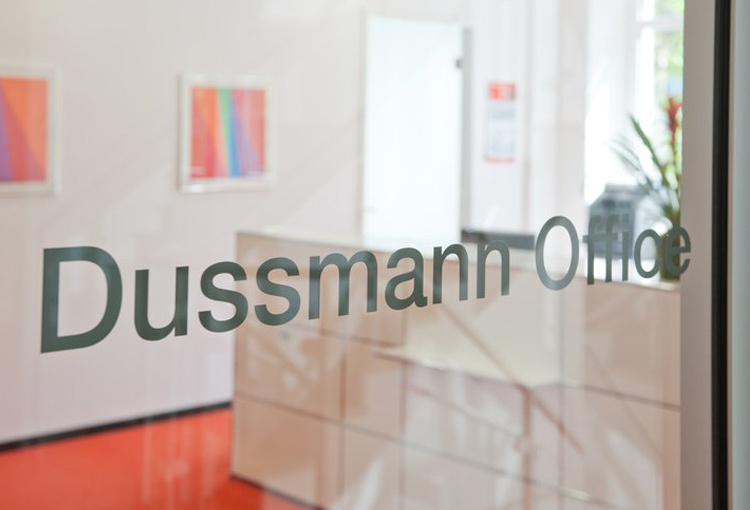 Dussmann Office offers fully furnished offices, conference rooms, office services and innovative solutions for business needs. Today, clients can even rent virtual offices. 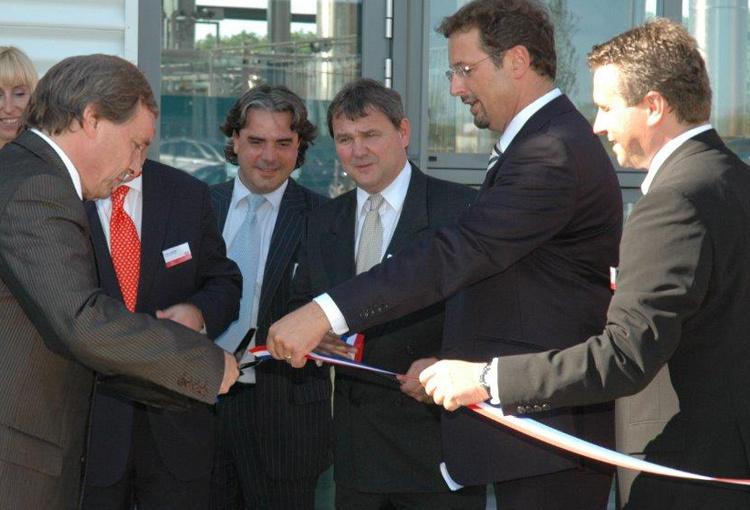 The opening of the newly constructed Dussmann headquarters in Pilotystraße, Munich is marked by a celebration. The building is a reflection of the company philosophy: modern, future-oriented and well-planned. 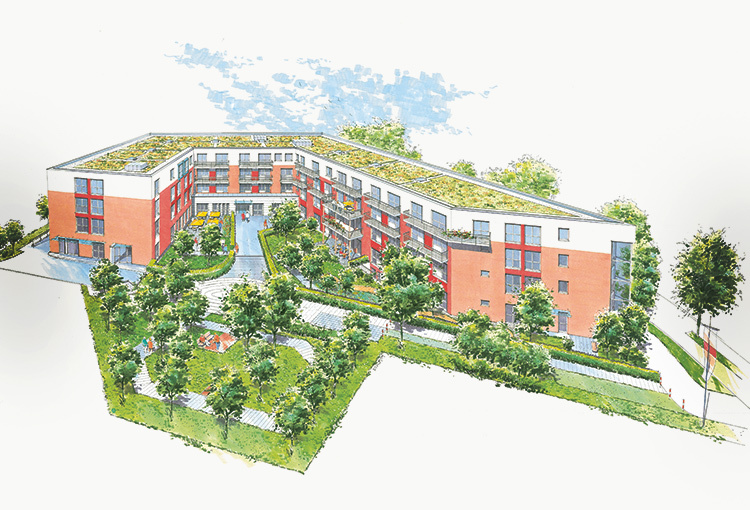 Dussmann takes on the management of six care facilities where cleaning and catering is already being provided. Nursing and care services are reinvented under the brand name Kursana, today the leading private provider of nursing and care in Germany. 1st October at the main train station in Munich. 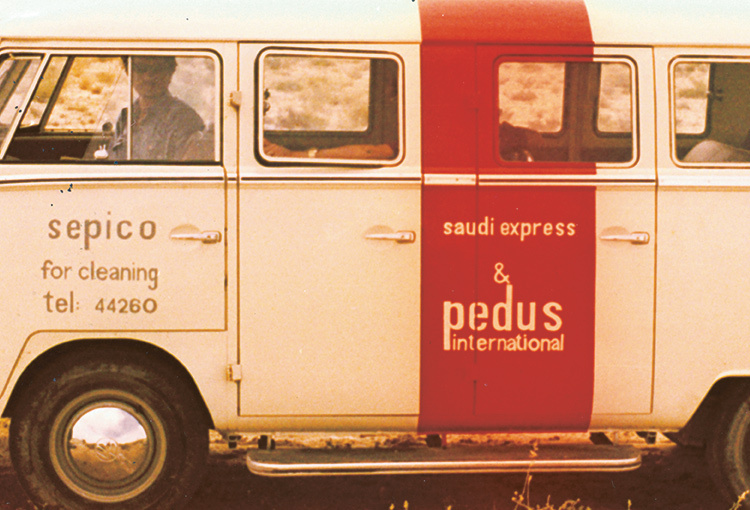 Pedus porters wait for passengers on their way to the 25th anniversary celebrations. In the evening, Mr. and Mrs. Dussmann welcome over 350 guests. 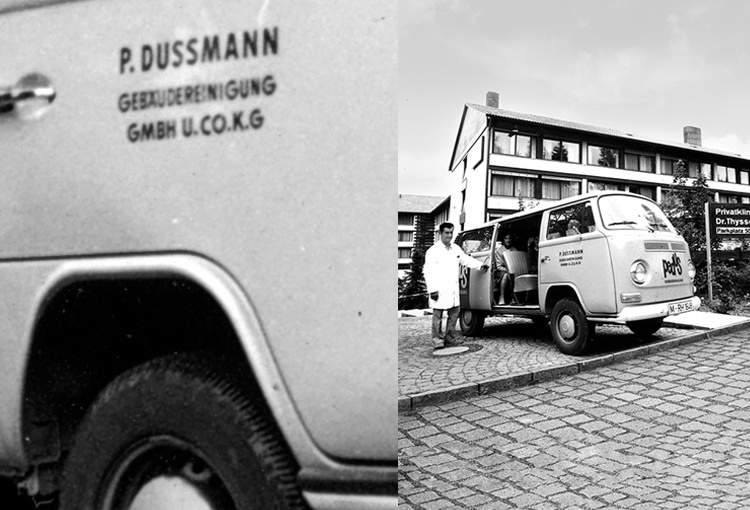 The fall of the Berlin wall signals a period of growth for the Dussmann Group: The company is one of the first to create thousands of new jobs in East Germany. As the iron curtain opens, it becomes possible to found subsidiaries in Hungary (1991) and in the Czech Republic (1992). 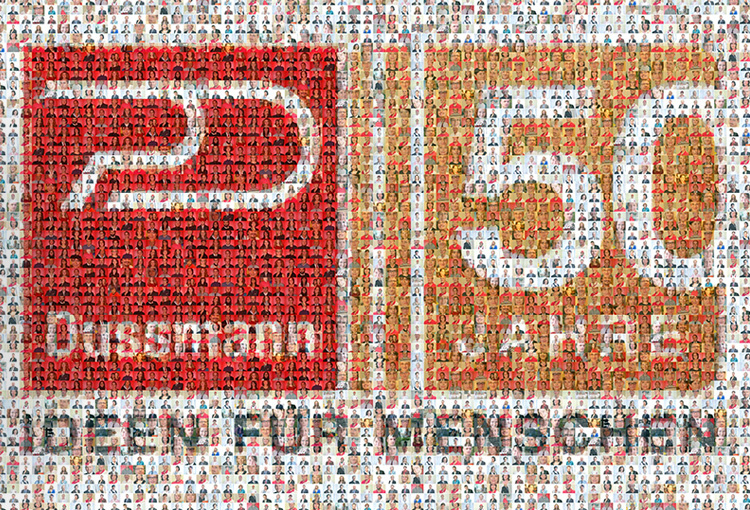 It is the beginning of a new era in which the Dussmann Group expands to Eastern Europe. 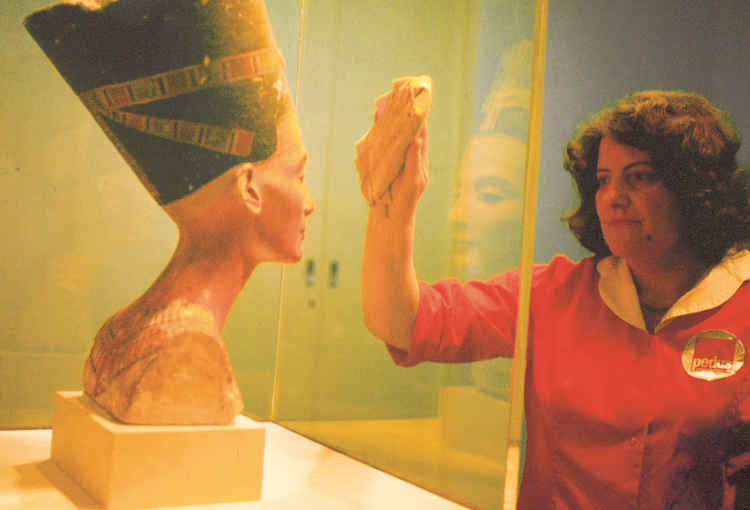 Personnel is specifically trained to carry out security, cleaning and attendance where art is displayed. Amongst the museums under their care is the Pergamon museum, Berlin where Nofratete resides. 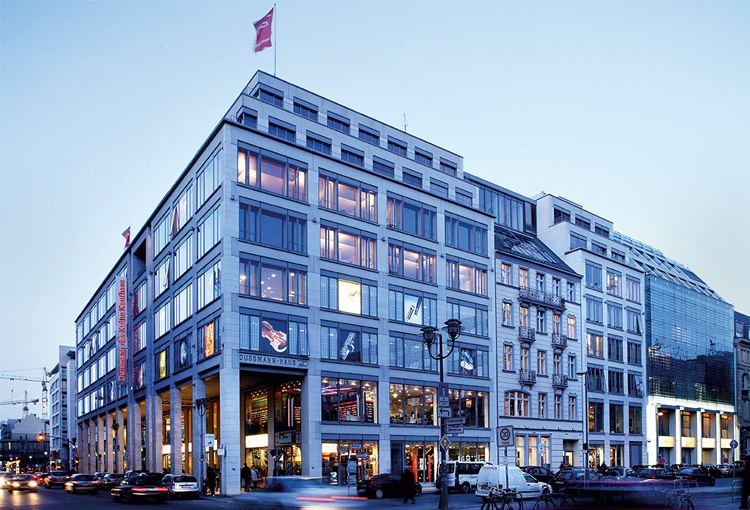 The headquarters of the Dussmann Group moves to Berlin. 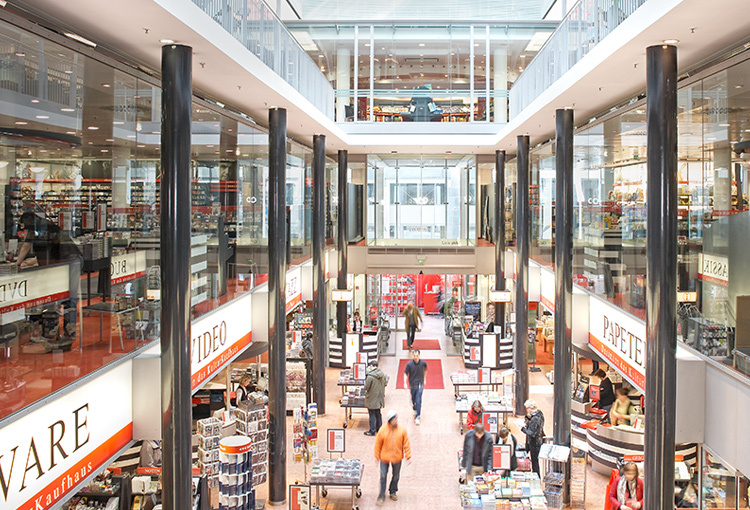 Germany’s largest media store, Dussmann das KulturKaufhaus opens. Due to the wide range of goods, its professional sales staff and its exceptionally long opening hours, it attracts millions of clients each year. 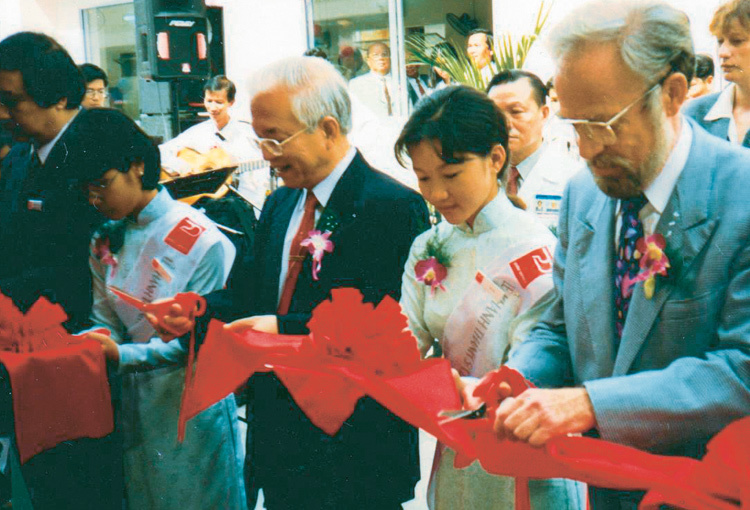 On 4th December, during his visit to Asia, Peter Dussmann opens the central kitchen at Cho Ray Hospital in Ho-Chi-Minh-City (Saigon), Vietnam. Today, the Dussmann Group has business activities in Vietnam and in China. The number of Kursana facilities grow to 80. 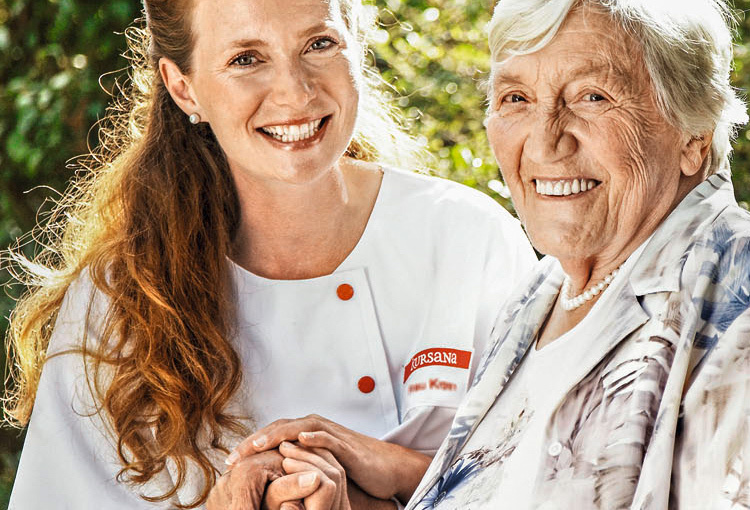 Kursana is now Germany’s leading private provider of nursing and care services for the elderly. The years of experience gathered in hygiene cleaning pay off. 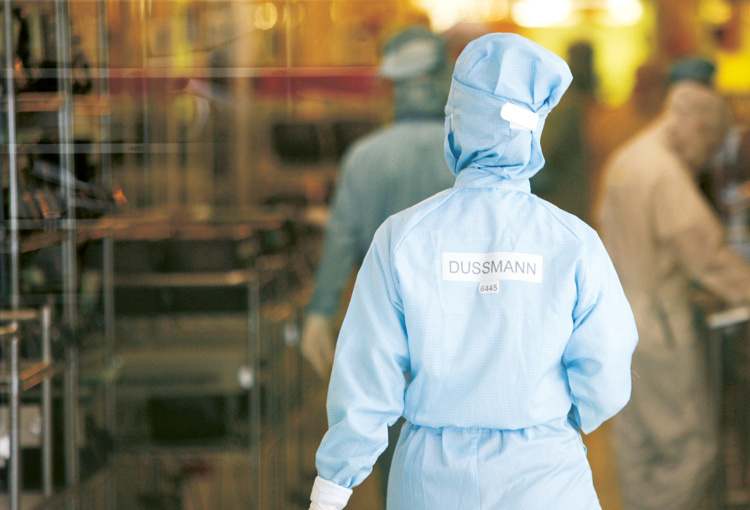 Clean-room cleaning becomes a part of the Dussmann Group’s service spectrum. In June, the industrial laundry, Lavador, opens in Bissen, Luxembourg. It is the largest operation of its kind in the country. 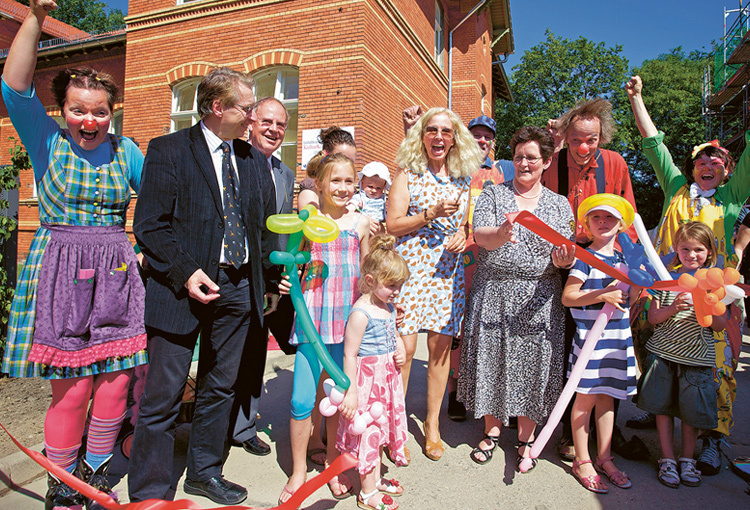 Catherine von Fürstenberg-Dussmann opens the first KulturKindergarten in Berlin. The in-house company child care is characterized by an emphasis on arts and culture, a bilingual approach and long opening hours to suit the working times of parents. 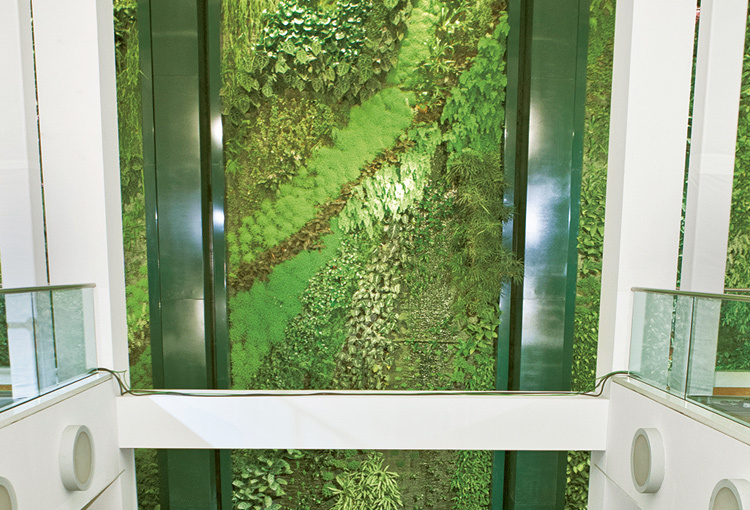 At Dussmann House on the Friedrichstrasse in Berlin, the vertical garden is created by the French artist, Patrick Blanc. The garden symbolizes the social responsibility of the Dussmann Group towards its employees, its clients and the environment. 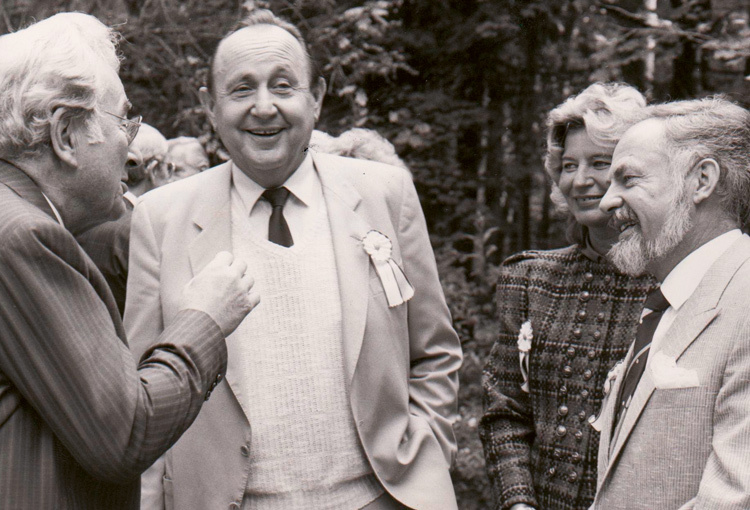 50 years have passed and much has changed but the service philosophy remains unchanged. 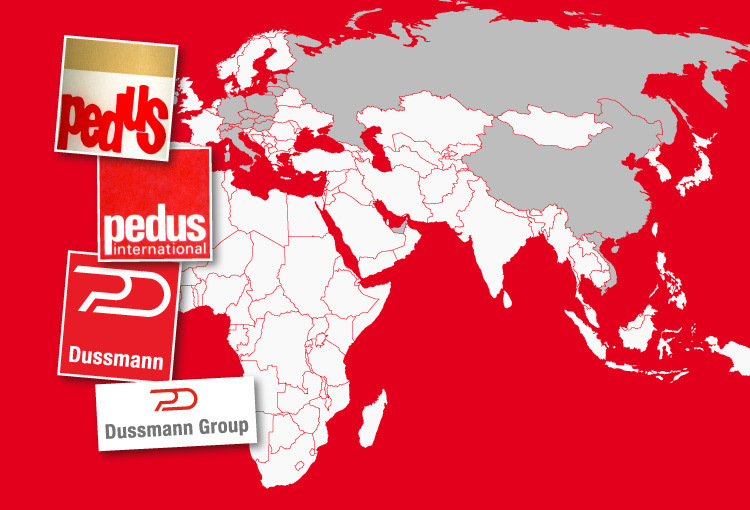 The company now operates under the name “Dussmann Group” in all languages. This emphasizes the international nature of the group, now a global player.